"Must Mention At Time Of Service"
If you live in Baltimore or the surrounding area in MD, then you have picked the perfect site to find a veterinarian. Doctor Duane Mangini is a licensed veterinarian, treating all types of pets and animals. Your pet's health and well being is very important to us and we will take every step to give your pet the best possible care. Parkville Animal Hospital is a full service animal hospital and will take both emergency cases as well as less urgent medical, surgical, and dental issues. 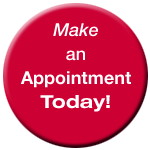 Duane Mangini is experienced in all types of conditions and treatments. Beyond first rate pet care, we make our clinic comfortable, kid-friendly, and a very calm environment so your pet can relax in the waiting room and look forward to meeting his or her own Baltimore veterinarian. Our goal is to improve the lives of both our clients and patients by producing exceptional veterinary care and pain relief for dogs and cats in a gentle, caring, timely, and professional manner. We hope that in a accomplishing the above, our clients will enjoy the long lasting health of their pets, be highly satisfied with our service and refer their friends, neighbors, and family members to our practice. "I'm a nervous, new pet owner. The staff put me (and Lacy) at ease. Great experience for both dad and dog!" 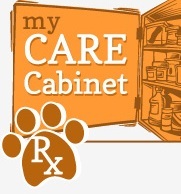 Shop for your pet 24 hours a day for their heartworm, flea and tick medications and more! Do you need an alternative payment plan? Check out CareCredit which allows you to pay off your balance over a 6 month period. Ask us about it your next visit! View your pets vaccines and when they are due and any upcoming appointments. This also lets you contact us through email!